This post is sponsored by Sister Schubert's. 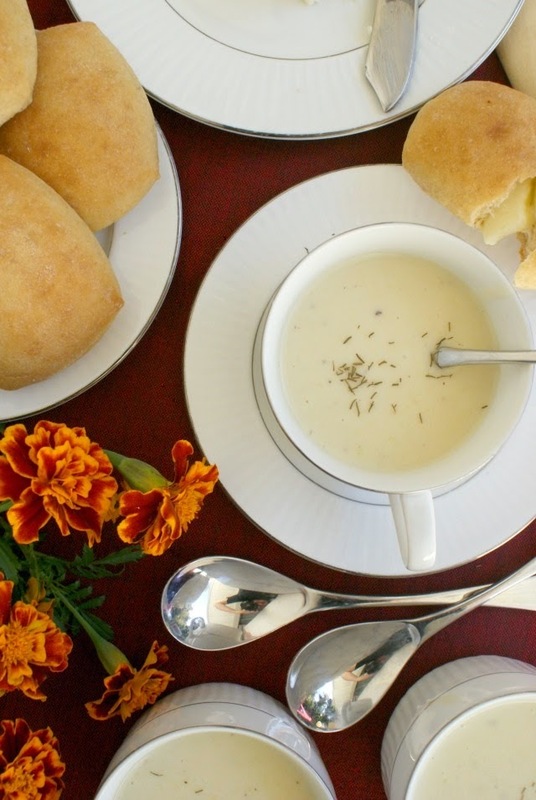 A cup of Grandma's creamy velvety Leek Soup accompanied by Sister Schubert's Yeast Rolls is the perfect first course for your special occasion meal or holiday dinner. I grew up in a big family and I am so thankful for that. There were six of us, so every holiday felt like a party even if it was just us. I have three sisters. We're like stair steps with two years between each of us, so it was like having built-in best friends growing up. Over the years, my parents made an effort to make all of the holidays special for me and my three sisters. We got dressed to the nines on Easter Sunday and hunted for colored eggs, we banged on pots and pans with wooden spoons at midnight on New Years Eve, and we had our annual sisterly meeting on Christmas Eve to plan on who would wake up first so that we had an organized plan for Christmas morning. It just so happens that I married a man who also has three sisters. Who woulda thunk it, right? Combine his family with my family and holidays are chock full of sisters and brothers, grandparents, aunts, uncles and cousins. We are so so blessed to be able have both my husband's and my family to our home for Thanksgiving. We prepare a feast, everyone brings a dish to share and we all sit back and enjoy the chaos of 20+ people celebrating the holiday. 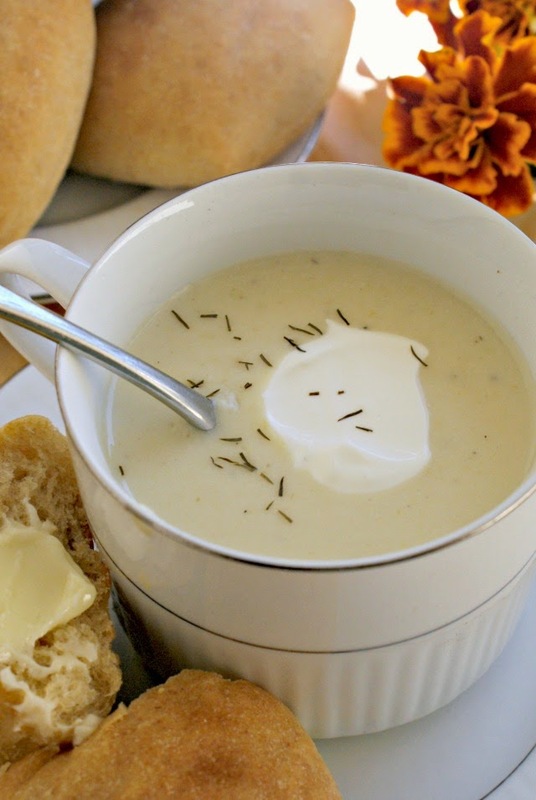 I decided that I'd make a batch of my mother-in-law's delicious, creamy, velvety Leek Soup to kick off the meal this year. In the past she's made it as a first course for special family dinners and I thought it would be perfect for Thanksgiving. I'm going to serve it alongside Sister Schubert's Dinner Yeast Rolls, which will be the perfect accompaniment to our meal. They take just minutes to heat up and they'll be perfect for dipping in this soup and sopping up mouthwatering turkey gravy. Mmmmmm...I can just taste it now. I love Thanksgiving! But the best part about the holidays isn't just what's on the table. It's about who's around it. Lucky for my, my table is surrounded by my great big family, and I wouldn't have it any other way. Meanwhile, in a medium saucepan or skillet, melt the butter over medium heat. Add the flour and cook for 2 minutes. Slowly add the milk to the butter and flour mixture, stirring constantly until it thickens. Stir in the sour cream. Add more salt and pepper, to taste. Add the milk and sour cream mixture to the soup and stir to combine. Simmer for an additional 10 minutes. 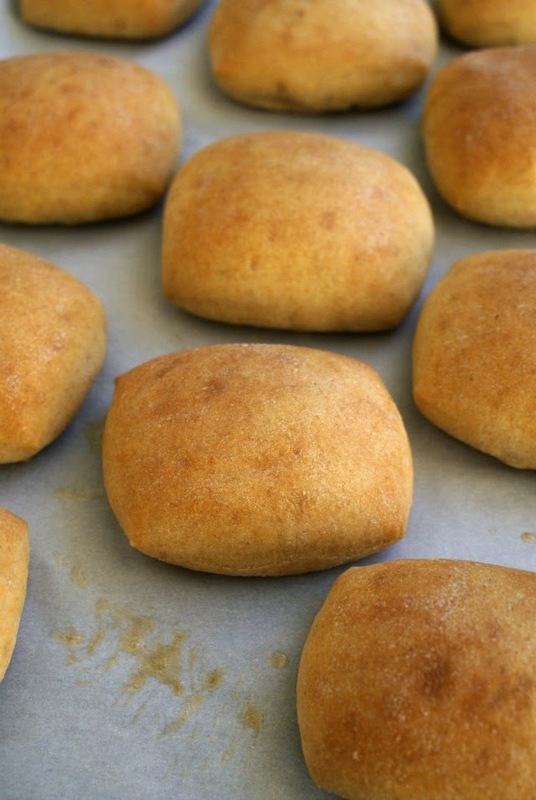 Garnish with a dollop of sour cream and serve with Sister Schubert's rolls for dipping. I slightly adapted my mother-in law's recipe. She uses a food processor to chop the leeks and potatoes and does not saute them before boiling. My son was sleeping, so I simply cut everything up by hand. Also, she adds 2 chicken bullion cubes to the the pot with the chicken broth, however, I didn't have any on hand so I omitted them. Lastly, my mother-in-law specifies using Wondra flour to make her roux, which I also didn't have on hand. This is a sponsored conversation written by me on behalf of Sister Schubert's Taste of Home Holiday Campaign. The opinions and text are all mine.